The New Standard in Water Filtration While most water filtration systems on the market only remove certain dangerous elements from your drinking water, the AquaBrick™ Water Filtration System will remove or deactivate virtually all harmful substances from any non-salt water source. REMOVES FROM HIGHLY CONTAMINATED WATER..... BACTERIA (99.9999% up to 2,646 ltrs / 700 gallons) CRYPTOSPORIDIUM (99.99% up to 2,646 ltrs / 700 gallons VIRUS (99.99% up to 2,079 ltrs / 550 gallons) Removes Heavy Metals and Tested to 'end-of-life' so you know it can be trusted! The DuraFlo™ Water Filter used in the AquaBrick water filter has been tested and certified by independent laboratories to establish the water filter’s “End of Life”. 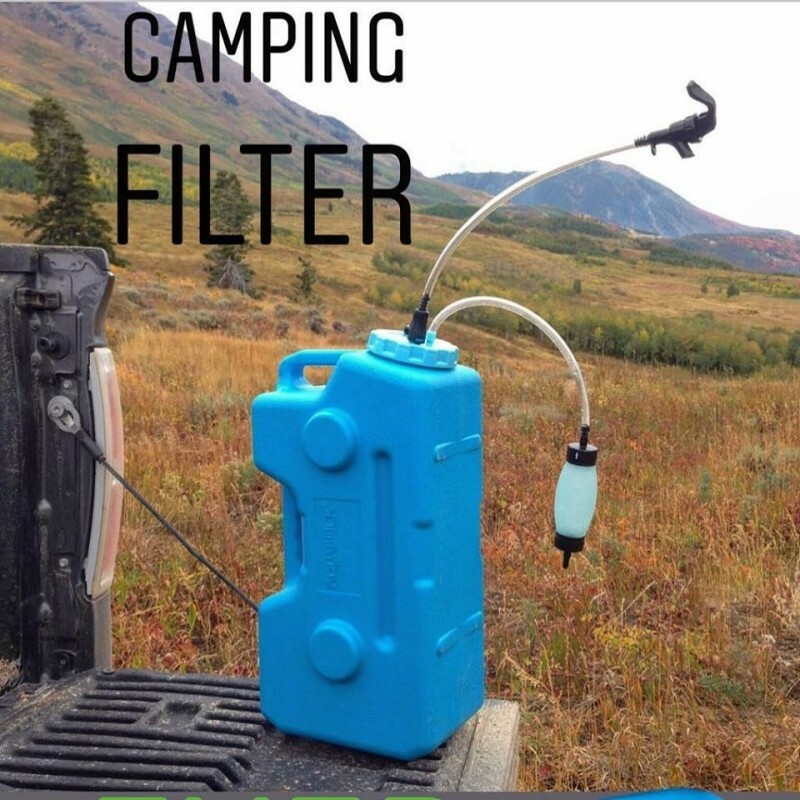 The water filter will safely filter out 99.99% of virus for up to 550 gallons (2,079 ltrs); and safely filter out 99.9999% bacteria and 99.99% of giardia and cryptosporidium for up to 700 gallons (2,646 ltrs) from highly contaminated water. The AquaBrick™ is perfect for emergency preparedness, outdoor adventure and humanitarian aid. 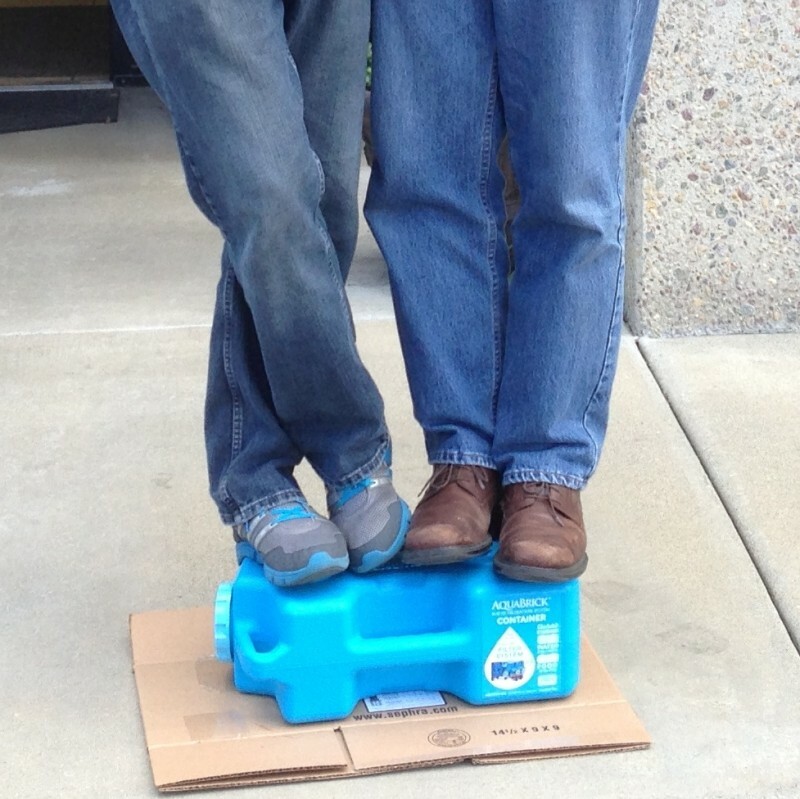 It’s the ideal water storage container providing one person with enough water for 72 hours. 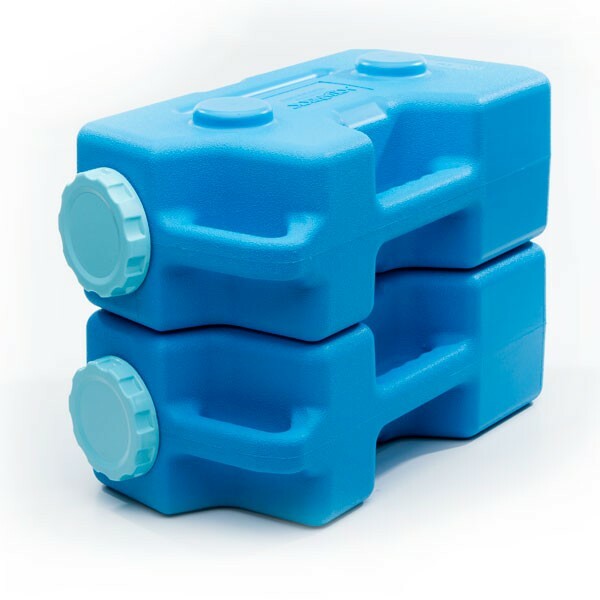 All AquaBrick™ containers easily stack and lock in place, making them convenient for home water and food storage. Purchase the AquaBrick™ Water Filtration System and extra AquaBrick™ containers. Great for storing water, food storage or anything which needs to be kept in a safe, water proof, rodent proof container. A simple bulb hand pump pressurizes the AquaBrick™ container causing the water to flow through the filter and easily dispense through the special spout. It’s great to have your purified water on hand, in case of emergency and also be able to filter water when you need it. 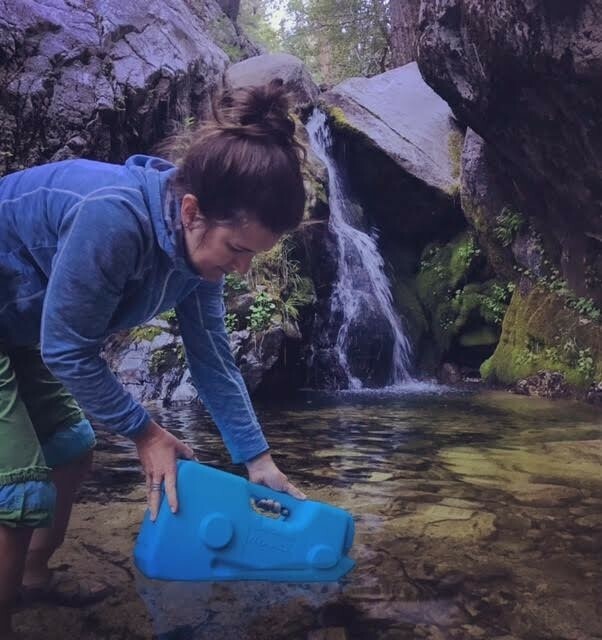 The AquaBrick™ Water Filters are perfect for emergency preparedness, camping, boating, hunting and all outdoor activities. 1 x Sagan Duraflow Filter (certified to end-of-life) and quick-connect hose. 1 x Bulb Hand Pump and quick-connect hose to pressurise the system. 1 x Dispensing quick-connect hose and Tap. 1 x Long quick-connect Hose for simply emptying an Aquabrick of its liquid contents. 1 x Aquabrick Cap with attachment points for the Pump, Filter & Dispensing hose. We also recommend using Sagan Filtered Water Bottles, equipped with the Journey Water Filter. The Journey has also been certified and tested by independent water laboratories to purify up to 300 gallons of contaminated water. The Journey Filtered Water Bottle, a personal water bottle, provides healthy, pure water for every member of your family every day. AquaBrick™ Containers are sold separately as well. Ideal water storage and food storage containers and perfect for all types of other personal effects you want to keep safe, dry and protected.